Nevada Small Schools All-State will be held April 25-27, 2019 Small Schools All-State open for ALL Nevada schools with a student population of 1500 or less. 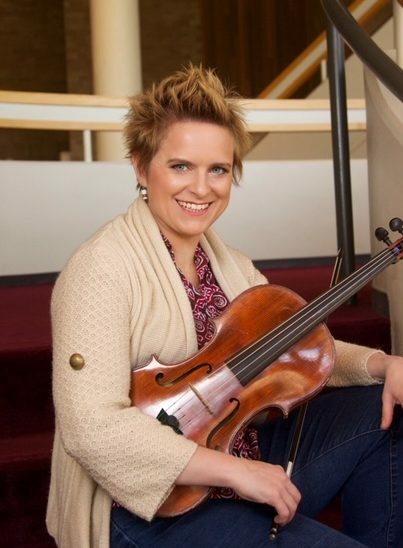 Inspired by the power of music to connect people, ideas and communities, Jennifer Drake is a conductor, violist, teacher, clinician, and camp director. Jennifer is known for her versatility, humor, and energy. Jennifer is the Music Director of the Serenata Orchestra, the assistant conductor and principal violist for the Fairbanks Summer Arts Festival and the Music Director for the Boise Philharmonic Youth Orchestra. Jennifer is the principal violist for the Boise Baroque Chamber Orchestra, and a section violist for the Boise Philharmonic. Jennifer has enjoyed an international chamber music career, performing at the 33rd International Viola Congress in Iceland and the International Bass Clarinet Convention in Holland. She has performed concerts in Iceland, Holland, Denmark, Romania, Spain, Italy, Germany, Austria and Canada. Jennifer is the founder of Idaho Viola Camp. She is also the co-artistic director for the Idaho Orchestra Institute. Both camps provide students with unique outdoor experiences, in addition to high quality musical engagement. Recent awards and honors include winning the 2018 International Conductors Workshop and Competition, receiving an Alexa Rose Foundation grant, and earning a fellowship with the Allentown Symphony in 2017. She has also been the cover girl for HerLife magazine. When she is not living the obviously glamorous lifestyle that being a conductor and cover girl must afford, she is cruising around in her 1987 Volkswagen camper van, hiking with her dogs Casey and Cameron, thinking of how to avoid grocery shopping, and planning trips with her husband, Chad Marvin. 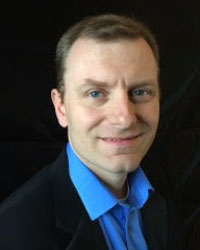 Dr. Bryant Smith is an Assistant Professor, and Director of Bands, at Dixie State University where he teaches Symphony Band, Conducting, and Introduction to Music. Dr. Smith earned his Doctor of Arts degree from the University of Northern Colorado, and holds bachelors and masters degrees from the University of Utah and Brigham Young University. Dr. Smith studied conducting with five members of the American Bandmasters Association – David Blackinton, Barry Kopetz, Richard Mayne, Donald Peterson, and Kenneth Singleton – as well as Mark Ely, Scott Hagan, and Kory Katseanus. Prior to his appointment at DSU, Dr. Smith was the Director of Bands at Columbia Basin College in Pasco, WA, where he led the Jazz Band and the Concert Band. He has also held adjunct positions at Brigham Young university and Utah Valley State College. Before his collegiate career he was the band director at Spanish Fork High School in Utah—where he received the 2009 “Teacher of the Year” award. He is a member of College Band Directors National Association and the National Association of Music Education, and is an active clinician, adjudicator, and guest conductor. In addition to his conducting and directing interests, Dr. Smith researches music education and music history topics, with particular focus on American and Mormon band history in the 19th century. Apart from music he enjoys spending time with his wife, Heather, and their four children here in St. George.